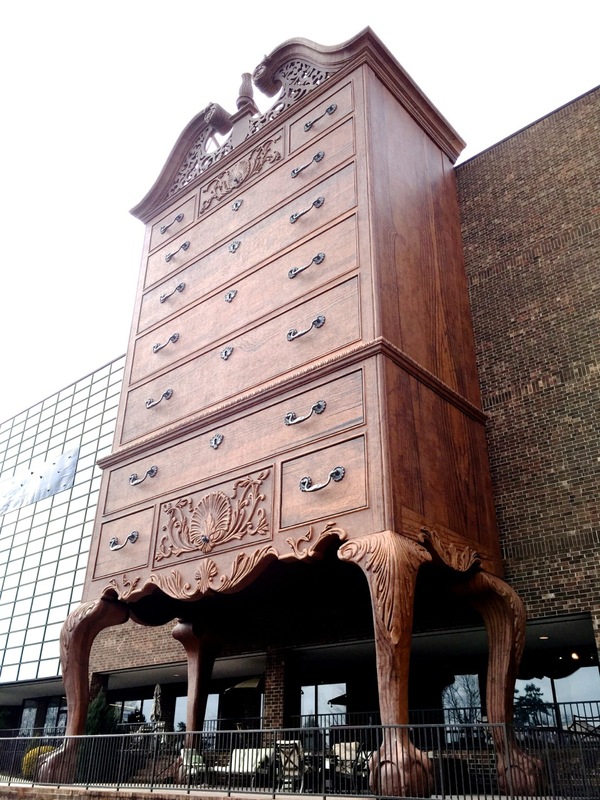 We live about and hour away from the self-proclaimed Furniture Capital of the World, High Point, NC. This claim is based partially on being what was the major furniture manufacturing center of North Carolina and partially on the twice-yearly furniture market (open to the trade), one of the largest around. Furniture making has moved away (some of it very far away) and Las Vegas is gunning for the furniture market. Yet they soldier on. In the nearby town of Jamestown (metro High Point?) is the self-proclaimed largest furniture store. (Lots of self-proclamations in North Carolina.) At 1.3 million square feet, who am I to argue? 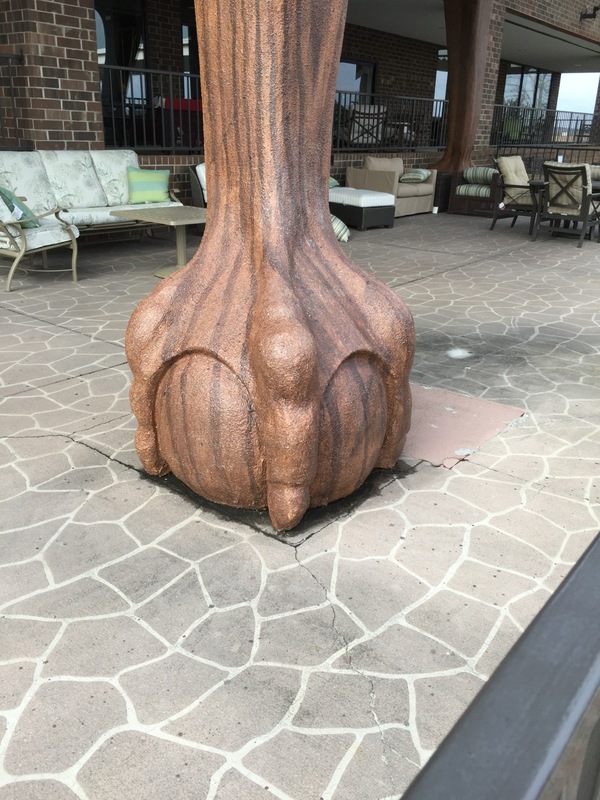 My wife and I tend to view it as 1.3 million square feet of ugly furniture. Ugly is a bit of a strong word. Not meeting our sense of aesthetics might be a more appropriate way to phrase it. There is some Shaker-esque furniture we almost like. 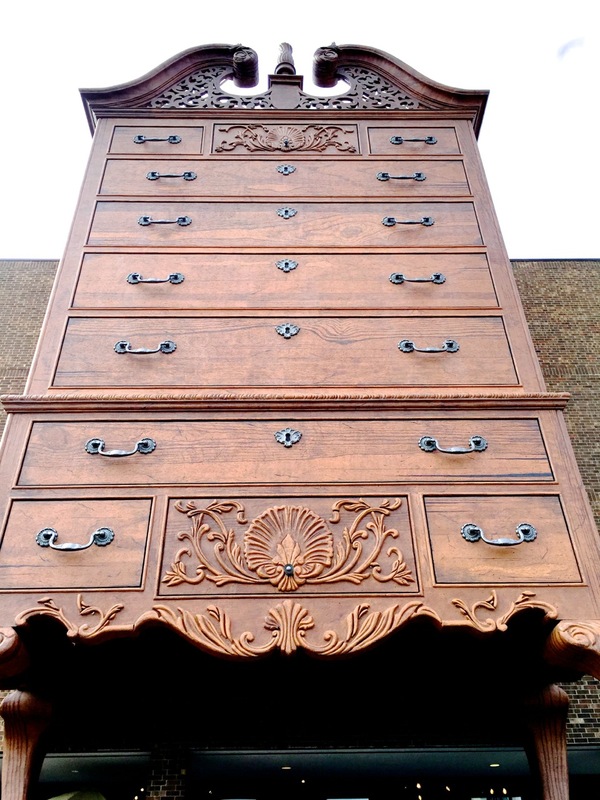 What we have found is that for the money one can buy antiques or have something built by one of the area custom furniture makers. Let’s keep the money local. 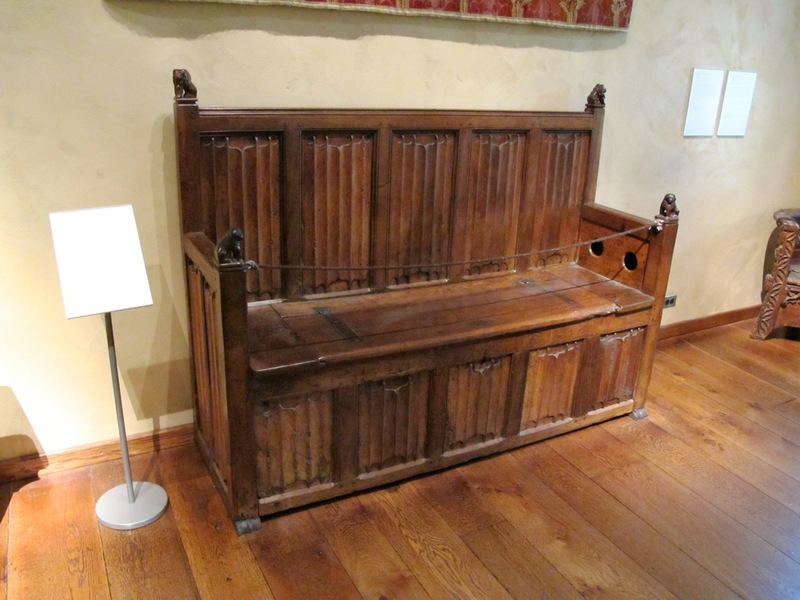 There is one piece of furniture there that has continued to impress me (favorably) over the years. But like many things that impress, I have no desire to own it. I’m not sure where I’d put it. Not your average chest on chest. At 85′, it needs just the right room. Easy to dust under, though. And I think the hardware has been replaced. I don’t believe it’s original. 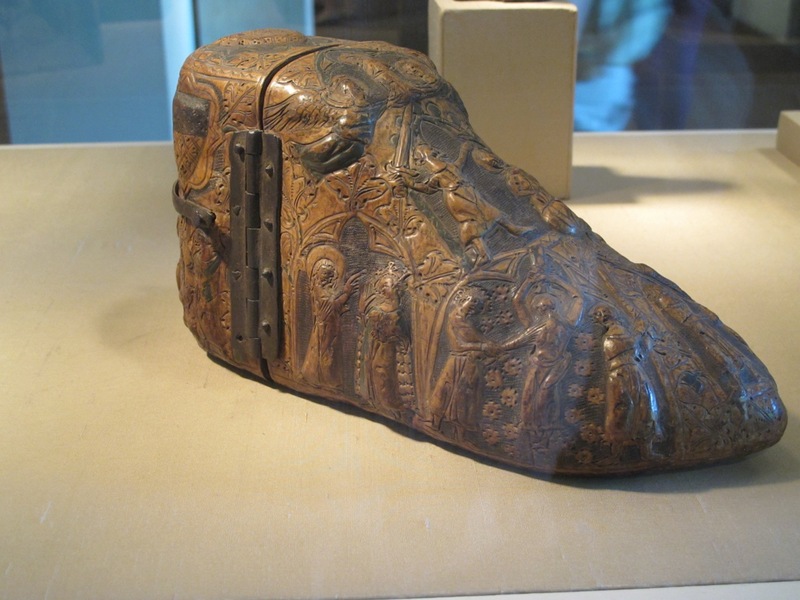 Can you imagine Mary May (or Chuck Bender) out there with a chainsaw carving this one. Of course, the drawers are all dovetailed. I would love to show you but their JLG lift was unavailable. 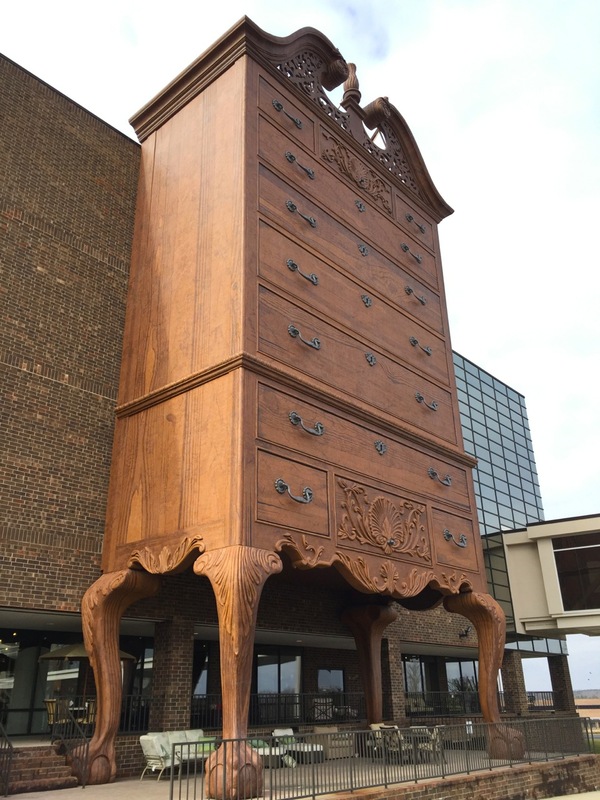 Somewhere in High Point is the 42′, world’s largest (freestanding) dresser. When I find it, I’ll let you know. 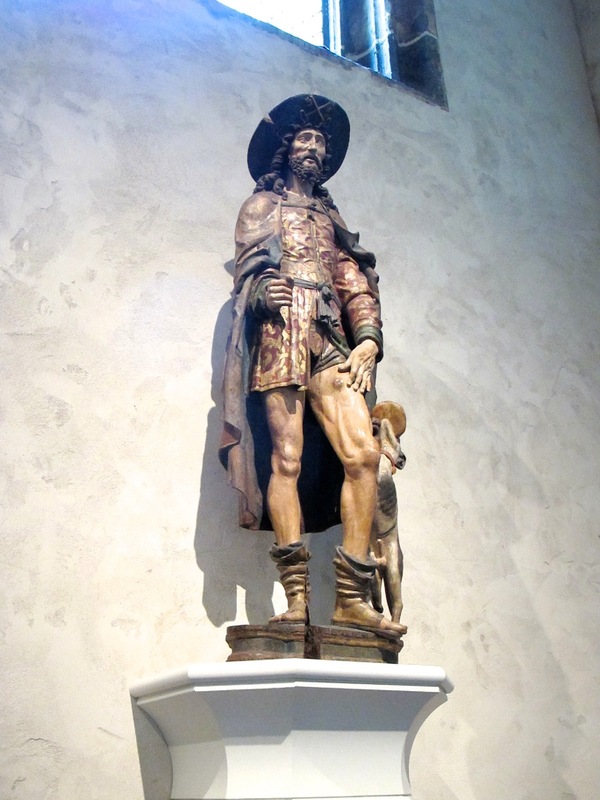 I was just sitting here wondering why nobody had viewed the second set of pictures from The Cloisters. The one with all seven of the Hunt of the Unicorn Tapestries. Then it occurred to me, I never posted the link. Oops. 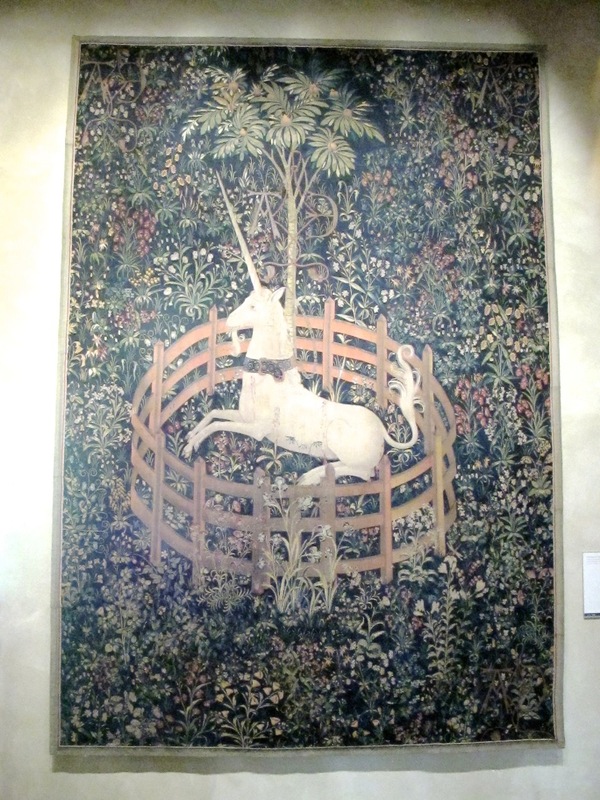 One of the unviewed unicorn tapestries. There are six more. To see the second set, click HERE. Well, at the The Cloisters in New York. And they are The Hunt of the Unicorn Tapestries, a series of seven tapestries dating from 1495 to 1505. THIS is a link to the Met’s Online Collections page. Not furniture but still nice. As we all know, unicorn hunting was entirely too efficient in that now they are effectively extinct. Even with this knowledge, it is an opportunity to see all seven tapestries in one room. They are quite impressive. What, your shoes aren’t hinged? And much, much more. As I wrote last week, The Cloisters is a part of Metropolitan Museum of Art housed in building that is an amalgam of five medieval abbeys. 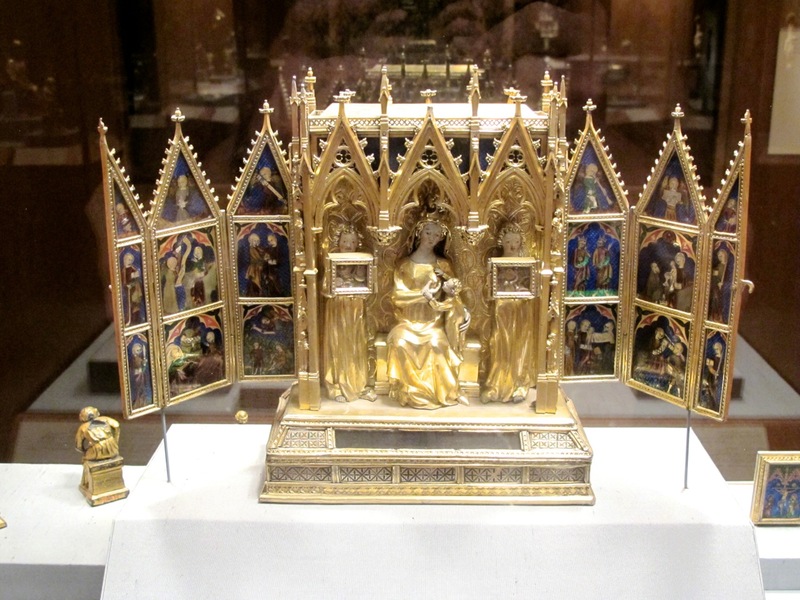 It contains the Met’s collection of European medieval art. Next time you get to New York, make an effort to head uptown and visit The Cloisters. I promise you it is well worth the effort.